Use at least one of these pictures to come up with a snapshot piece of writing. Use powerful language and interesting sentences. Think about using a complex sentence like we used this morning. Think about what you see, hear, smell, feel and taste. Revise your work before posting. 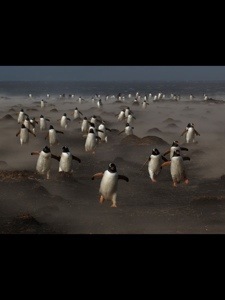 When I am looking at this picture I think of penguins swimming in very cold water, about 55 penguins wattling side to side, I can hear penguins calling, I can smell salt water and ice because they swim in salt water and walk on ice, I feel freezing because in ice lands and I can taste salt water. Great snapshot Reece, very descriptive. You have correct punctuation and spelling, and your comment has good detail. Yeah I agree. Even though you don’t have many emotive and descriptive words you wisely did a good job! Well done. 🙂 A short and quick piece is always a good one. The crocodile photo is cool because I like crocodiles. I think he is trying to camoflauge to look like a log to catch his prey. I can see the crocodile is propably trying to carry her or his babys because they are not old enough to swim alone because they might drown in the water or the mother is protecting her or his babys. Good comment Leigham and Braiden, but you need to change your I’s to We. 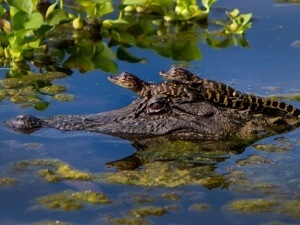 See: I see 2 baby crocodiles sitting on the mothers head in the mooldy green lake. Hear: I hear crocodiles raring and I hear the little waves in the water. Smell: I smell the fishy water. Feel: I feel the slippery yucky green moold in the fishy water. Taste: I taste the salt water in the lake and I taste the yucky green moold in the water. Great descriptive comment Shani and Riley, it is magnificent comment but mould is the correct spelling insted of moold. We are doing our snapshot on the third picture. I see a lot of fish, there is a very big fish, there is a grey background with a bit of white beaming down, all of the fish are going in many different directions. If I were with them I would hear all of the fish paddling, I would hear the ocean leaving a trail of bubbles. If I were in that exact spot I would smell the fish rumbling through the sea, I would smell delicious sea food. If I were there I would think that the water is very salty. If I were in the water I would feel the fish soothing against me, I would feel the cold water coming by me, I would feel very nervous. Great comment Jay and Jen, very descriptive. Also great choice of words. Marvellous. 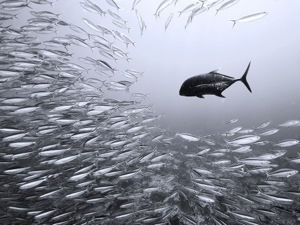 We see a big fish chasing hundreds of other fish, we see a school of fish swimming for their live from a massive fish that is hungry and wants its dinner. We feel concerned for the school of fish because they might be eaten by a gigantic fish. We smell the fear oozing out the fish. We taste the anxiety of the fish to get away from the dreadful fish. Gareth and I needed to extend our comment a bit more but we ran out of time. I can see a man standing in a giant mud lake chasing a black bull. I can see the bull panicking to run away from the man. I can see trees in the background swell as buildings. i can see the bull wearing a hat or something. 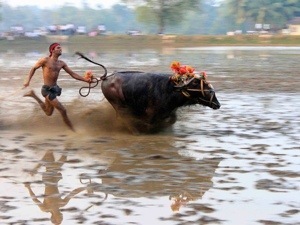 I can see mud being splashed all around I can see a man running as fast as the bull. Good comment Bailey, but you need to put a capital I insted of a lower case i. Also the second sentence doesn’t make sence. You forgot a full stop on the second last sentence. When I see this picture I can see an oversize brown and black cow with some colourful flowers on its round head, pooling a horrified man across the muggy brown lake, His probably franticly trying to hold onto the wet slippery rope. Great descriptive comment Guguei. I don’t know what to say, marvellous job Guguei. The men was crazy he would let go and he need to let go but he didt let go and he will get killed if he duns let go the end. Jamie, this dosen’t make any sence, but good job for trying. I could see two baby crocodiles and a mother swimming in a river. I think the mum is carrying the babies across the river. They could smell the disgusting water and nature. I could hear the crocodile going snap, snap, snap and water gouging. Surberb comment Dakotah, great snapshot. I can see a mother crocodile as still as a stature with her babies in the swampy water waiting for her delicious prey waiting to launch and drag her food in the green water. Good comment Josh, and I hope to see more from you. Good job Josh, very good I hope to see more comments and your writing was very descreptive. We picked the crocodile picture we thought it looked weird swimming with the babies on it’s head and it caught our attention! If i was the crocodile i would be hoping nothing attacks me and steals my babies! I can see the dirty muddy water and the bright green lillipads. I could smell the fear inside the fish rapidly trying to avoid me. I could taste the disgusting dirt spreading through the water, the water continuosly pushing us towards the river bank. Zach and your partner, you have a few lower case I’s, and you need to change the I’s to we. Splendid. Dirty water is stacked in front of me. As the dirty and disgusting water surrounding me and my babies, makes me smell really disgustingly and makes me really dirty. The smell of the water is really smelly and it is really stinky. The baby Alligators on my back trembling as I protect them from predators. The way I sneak up on my predators is really sneaky and I would be able to kill them and eat them for food. Good job Nyetap, Adieu and Leeanne, just need to check your punctuation. We picked the crodile and its babies. See: The clear dintish water with light green weeds/leaves. The tadpoles in the dirtish water. Hear: Frogs croaking really loud, the water splashing. The weeds/leaves sweshing in the water. Feel: The huge crodidile can feel teh babies. The water washing pass them as they swim. Taste: i can taste dugusting water. Holly, you need to put an upper case I and check the spelling of a few words. I’m looking at a day that is dark and gloomy, with freezing cold water, I hear thunder , I see nobody around, I also see lightning cashing down. Cody and Ben, you need to change your I’s to we, also you could have put more in the comment. 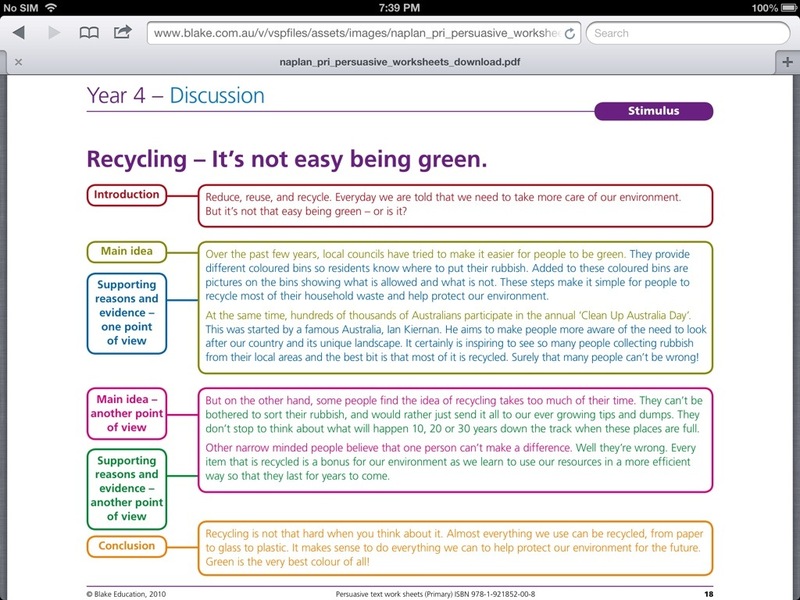 Reblogged this on Heidie's Blog Liddiard Rd Primary School. 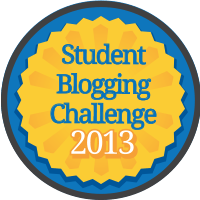 Making blogs is really popular this year. I bet yours is fantastic. I can see: A man with no shirt. A bull/cow with flowers on its head. Muddy lake with ripples in it. Green palm trees in the background. I can smell: Mud and dirt. Sweaty man with no deodorant. Disgusting manure and filthy brown lake. I can taste: The disgusting smelly air. Muddy water slashing in my moisturised face. Flies blood and body parts smashing against my cheeks. I know when I saw that picture it made me jump a little. Think about what you see, hear, smell, feel and taste. Revise your work before posting. I hear man yelling because he need help I thing. I smell water disgusting because they looked dirty and they not looked like water. I feel sorry for this man because his running in the mudding dirty water with that animal. I wonder if he has to do it or is it just a job. I taste water yak because they looked disgusting. Nynom you need to ad a few words, other wise then that, awesome comment. I can see A big crocodile head lurking in the murky water. I can see 2 small crocodile babies stretching wildly on a big crocodiles head. I can see plants and nature/algae floating in the water calmly. I can see 6 gleam eyes staring at me like we are so competitive in a staring competition. I can smell the DISGUSTING algae in the water floating trough the swampish air. I can smell the muddy water drifting through the air swamp air. I can feel the scalps on the crocodiles skin, very hard and slimy. I can feel the muddy water and the algae attaching to my moisturised hands. I can hear the crocodile SNAP right in my face like a man spitting in my face. I can hear the swamp water flowing calmly next to where the crocodile is swimming. I can hear the wind blowing the lilly pads waving around like a crazy clown at the circus. I can taste the dirt from the wind blowing it up into my eyes and mouth. I can see the fish quickly swimming away from the fat fish swimming around in the deep blue ocean. I can see the sunlight shining down on the ocean, crystal blue. I can smell the salt going up my nostrils to a part where I cant take it any more. I can smell the revolting smell of the fish drifting in the waters ripples as I snorkel. I can feel the fat fish’s fins, so slimy. I can feel the ripples banging onto my body as the small fish swim away fast. I can feel the small fishes tails as I grab hold of one softly. I can see hundreds of penguins waddling towards me. I can see ripples in the ocean blue. I can see the fog drifting up into the freezing salty air. I can see small nests covered in dirt and in the fog. I can smell the salty fog drifting up into my blocked nose. I can smell the dirt from heaps of it in nests and on ground. I can smell the salty penguins from the just entered out of the ocean. I can feel the penguins wet fur, very spiky. I can feel the freezing cold sea water growing ripples in with my hand. I can feel the sticks and dirt within the ground and fog. I can taste the fog drifting up into my dry mouth. I can taste the salty sea air drifting through the lands of the penguins which I am currently at. 🙂 ~In the picture. Last Picture: Wow. Is this actually their reality? The city looks really grey. 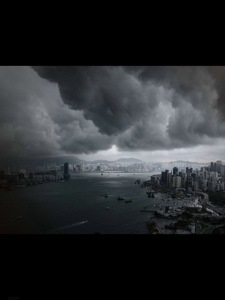 The storm looks deadly, the city and ocean look dull. Science – Living things. How can they adapt to survive in their environment?